"13505 The rugged gorge of the Genesee, showing Middle and Upper Falls, Portage, N.Y., USA." 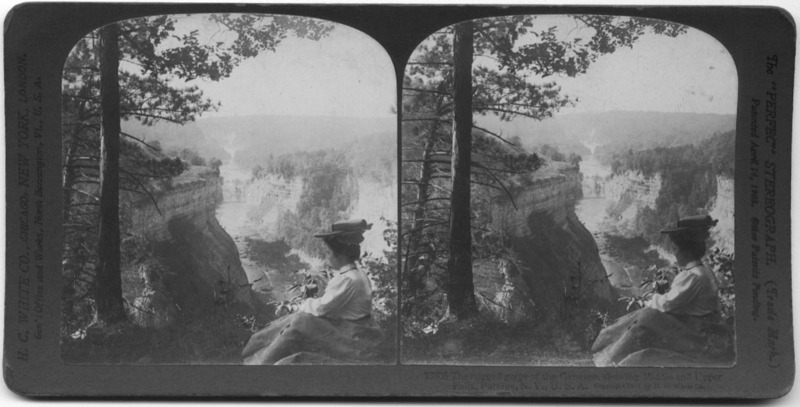 This stereoview captures the view from Inspiration Point as it looked when Mr. Letchworth donated his Glen Iris Estate to the People of New York. 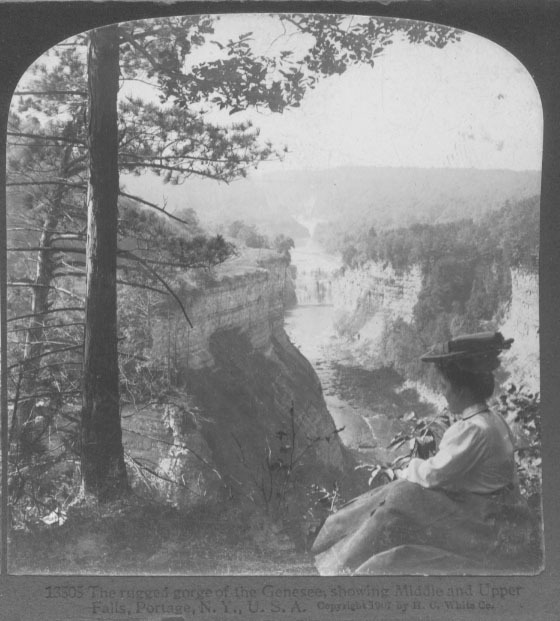 A tourist (sitting rather close to the edge) is enjoying the view that includes the Middle and Upper Falls as well as the Erie Railroad bridge. She seems especially interested in the old bed of the Genesee Valley Canal on the far bank, which at the time of the photograph was the route of the Pennsylvania Railroad.. A larger image is shown below. Click here for an earlier view from Inspiration Point showing the Canal.